The Central Intelligence Agency (CIA) was established in September 1947. Its role was to evaluate intelligence reports and coordinate the intelligence activities of the various government departments in the interest of national security. Richard Bissell joined the CIA and was placed in charge of the Directorate for Plans, an organization instructed to conduct covert anti-Communist operations around the world. His deputy was Richard Helms, who had successfully mounted a mount a massive convert campaign against the Communist Party during the post-war elections in Italy. 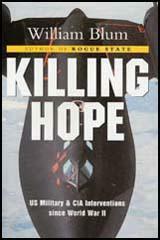 The Directorate for Plans was responsible for what became known as the CIA's Black Operations. This involved a policy that was later to become known as Executive Action (a plan to remove unfriendly foreign leaders from power). This including a coup d'état that overthrew the Guatemalan government of Jacobo Arbenz in 1954 after he introduced land reforms and nationalized the United Fruit Company. These schemes were rejected and instead Bissell decided to arrange the assassination of Fidel Castro. In September 1960, Richard Bissell and Allen W. Dulles, the director of the Central Intelligence Agency (CIA), initiated talks with two leading figures of the Mafia, Johnny Roselli and Sam Giancana. Later, other crime bosses such as Carlos Marcello, Santos Trafficante and Meyer Lansky became involved in this plot against Castro. In February, 1962, the FBI became aware of this CIA assassination plot on Fidel Castro. When Robert Kennedy, U.S. Attorney General, found out about these plots in Febuary 1962, he was furious. He turned against Richard Helms for not telling him of the plots, and for using the same gangsters he was trying to prosecute. However, Kennedy did not bring an end to the operation. Instead he insisted that he was kept informed about the development of the project. In April 1962, William Harvey took control of the ZR/RIFLE project. He told Johnny Roselli that Santos Trafficante and Sam Giancana had to cease involvement in the project to kill Castro. Ted Shackley, the new head of JM WAVE, also began to play a more important role in planning the assassination. Eventually Johnny Roselli and his friends became convinced that the Cuban revolution could not be reversed by simply removing its leader. However, they continued to play along with this CIA plot in order to prevent them being prosecuted for criminal offences committed in the United States. In February, 1963, William Harvey was removed as head of the ZR/RIFLE project. Harvey was now sent to Italy where he became Chief of Station in Rome. Harvey was convinced that Robert Kennedy had been responsible for his demotion. A friend of Harvey's said that he "hated Bobby Kennedy's guts with a purple passion". 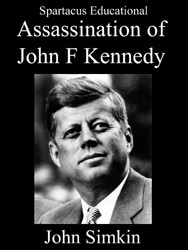 On 22nd November, 1963, President John F. Kennedy was assassinated. Rumours began to circulate that gang bosses such as Johnny Roselli, Santos Trafficante, Carlos Marcello and Sam Giancana, were involved in the crime. Some CIA agents such as David Atlee Phillips, William Harvey and David Morales were also implicated in this conspiracy. In 1970 it seemed that Salvador Allende and his Socialist Workers' Party would win the general election in Chile. Various multinational companies, including International Telephone and Telegraph (ITT), feared what would happen if Allende gained control of the country. Richard Helms agreed to use funds supplied by these companies to help the right-wing party gain power. When this strategy ended in failure, Nixon ordered Helms to help the Chilean armed forces to overthrow Allende. On 11th September, 1973, a military coup removed Allende's government from power. Allende died in the fighting in the presidential palace in Santiago and General Augusto Pinochet replaced him as president. In 1975 the Senate Foreign Relations Committee began investigating the CIA. Senator Stuart Symington asked Richard Helms if the CIA had been involved in the removal of Salvador Allende. Helms replied no. He also insisted that he had not passed money to opponents of Allende. Investigations by the CIA's Inspector General and by Frank Church and his Select Committee on Intelligence Activities showed that Hems had lied to the Senate Foreign Relations Committee. They also discovered that Helms had been involved in illegal domestic surveillance and the murders of Patrice Lumumba, General Abd al-Karim Kassem and Ngo Dinh Diem. In 1977 Helms was found guilty of lying to Congress and received a suspended two-year prison sentence. (1) Jacobo Arbenz, speech after he had been deposed as leader of Guatemala in 1954. They have used the pretext of anti-communism... The truth is very different. The truth is to be found in the financial interests of the fruit company and the other US monopolies which have invested great amounts of money in Latin America and fear that the example of Guatemala would be followed by other Latin countries... I was elected by a majority of the people of Guatemala, but I have had to fight under difficult conditions. The truth is that the sovereignty of a people cannot be maintained without the material elements to defend it.... I took over the presidency with great faith in the democratic system, in liberty and the possibility of achieving economic independence for Guatemala. I continue to believe that this program is just. I have not violated my faith in democratic liberties, in the independence of Guatemala and in all the good which is the future of humanity. There may be certain types of assassination that they're good at, but other types they're not. So they enlisted the better known names, Giancana, Roselli, in Operation Mongoose. And you had Edward Lansdale, and William King Harvey, all the guys who became legends. And there is no use in expounding on their careers and how they got involved in this. Also, one of the lesser known people involved in this was Peter Licavoli. Licavoli was a confidant, close to both Giancana and Roselli. And he had a ranch in Tucson, Arizona. It was very nicely placed and had a landing strip on it. So he was involved in Mongoose because of the location (of his ranch), and it was a nice place to have meetings and they had meetings there. His involvement in Mongoose was a marginal type thing. I really don't think that Roselli or Giancana or Maheu ever were all that serious about knocking off Castro. They wanted to get some leverage against the government. They were trying to deport Roselli, the were chasing Giancana all over the landscape and they were willing to use anything they could to actually give them an edge. 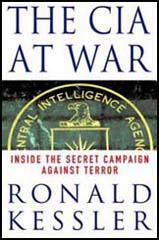 The Secret Team (ST) being described herein consists of security-cleared individuals in and out of government who receive secret intelligence data gathered by the CIA and the National Security Agency (NSA) and who react to those data, when it seems appropriate to them, with paramilitary plans and activities, e.g. training and "advising" - a not exactly impenetrable euphemism for such things as leading into battle and actual combat - Laotian tribal troops, Tibetan rebel horsemen, or Jordanian elite Palace Guards. At the heart of the Team, of course, are a handful of top executives of the CIA and of the National Security Council (NSC), most notably the chief White House adviser to the President on foreign policy affairs. Around them revolves a sort of inner ring of Presidential officials, civilians, and military men from the Pentagon, and career professionals of the intelligence community. It is often quite difficult to tell exactly who many of these men really are, because some may wear a uniform and the rank of general and really be with the CIA and others may be as inconspicuous as the executive assistant to some Cabinet officer's chief deputy. I hoped the Mafia would achieve success. My philosophy during my last two or three years in the Agency was very definitely that the end justified the means, and I was not going to be held back. Shortly after I left the CIA, however, I came to believe that it had been a mistake to involve the Mafia in an assassination attempt. This is partly a moral judgment, but I must admit it is also partly a pragmatic judgment. Assassination is big business. It is the business of the CIA and any other power that can pay for the "hit" and control the assured getaway. The CIA brags that its operations in Iran in 1953 led to the pro-Western attitude of that important country. The CIA also takes credit for what it calls the "perfect job" in Guatemala. Both successes were achieved by assassination. What is this assassination business and how does it work? The CIA has many gadgets in its arsenal and has spent years training thousands of people how to use them. Some of these people, working perhaps for purposes and interests other than the CIA's, use these items to carry out burglaries, assassinations, and other unlawful activities - with or without the blessing of the CIA.